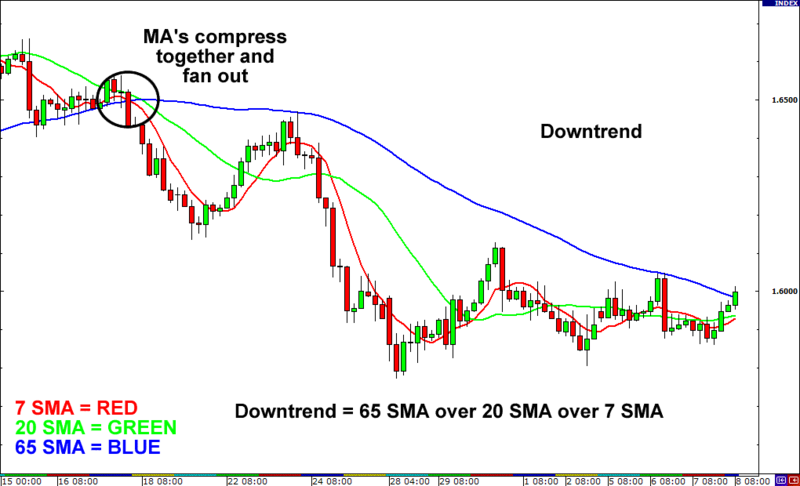 Trends are usually noted by “higher highs” and “higher lows” in an uptrend and “lower highs” and “lower lows” in a downtrend. 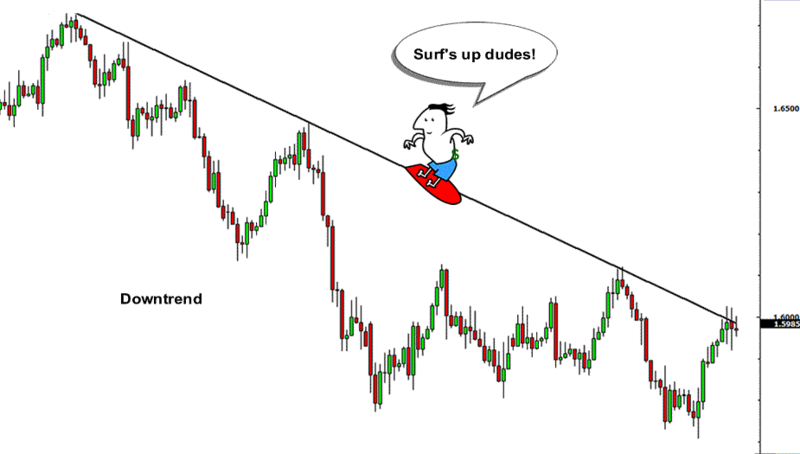 When trading a trend-based strategy, traders usually pick the major currencies as well as any other currency utilizing the dollar because these pairs tend to trend and be more liquid than other pairs. The more movement a currency exhibits, the more opportunities there are for price to move strongly in one direction as opposed to bouncing around within small ranges. 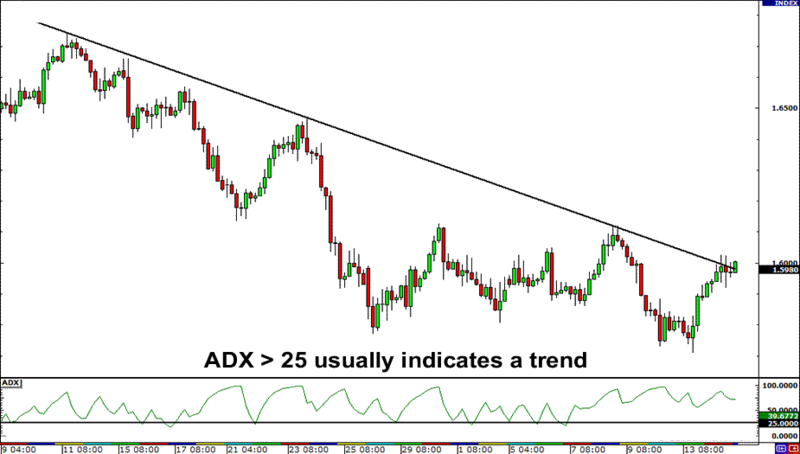 Other than eyeballing price action, you can also make use of technical tools you have learned in previous sections to determine whether a currency pair is trending or not. One thing you should know about trends is that they are actually quite rare. Contrary to what you might think, prices really range 70-80 percent of the time. In other words, it is the norm for price to range. The buy zone is the area between the two top bands of the SD 1 and SD 2 bands. 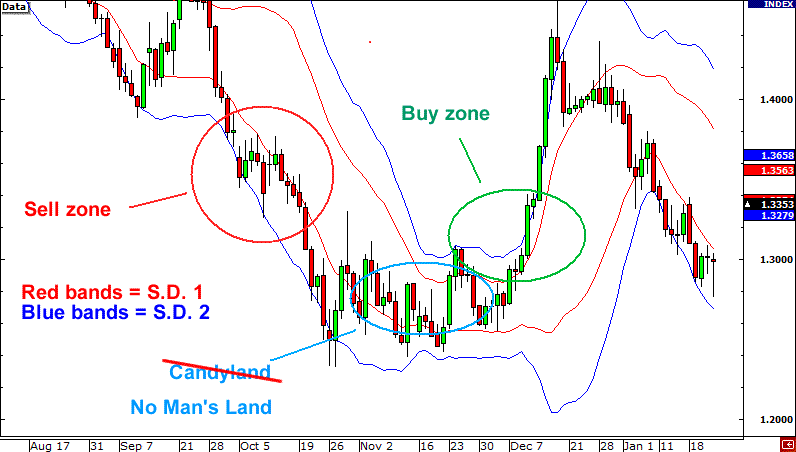 Like the sell zone, price has to close within the two bands in order to be considered in the buy zone. The area in between the standard deviation 1 bands is an area in which the market struggles to find direction. Next Lesson What is a Range-Bound Market?